Portable Cyberduck is a Mac OS X portable FTP client browser application based purely on Cyberduck. It is an FTP client you can bring with you to run from a USB thumb drive, external hard drive, memory card, iPod, other portable device. 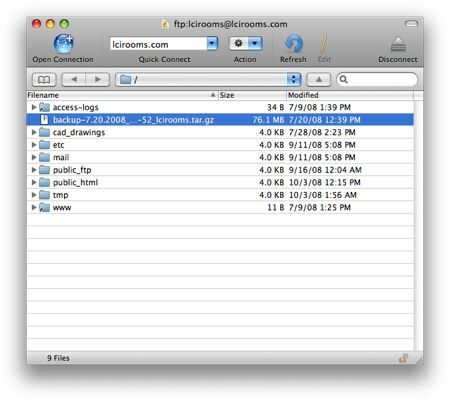 Now Mac Os X users can have FTP access portably no matter where they go. All settings are stored on the portable device leaving no traces behind on the Mac computer Portable Cyberduck is being run from. Note: you can eject the mounted Cyberduck image and delete the PortableCyberduck.dmg file from your Mac once it has been installed to your portable drive.